Hello, lovelies~ I rarely review hand creams and the like, but I have been using this often lately, so I thought it would be appropriate to do a proper review on it. Most of you have probably already heard about L'Occitane, being one of the best French beauty brand in the entire world. Well, in my world, they're the best, lol. 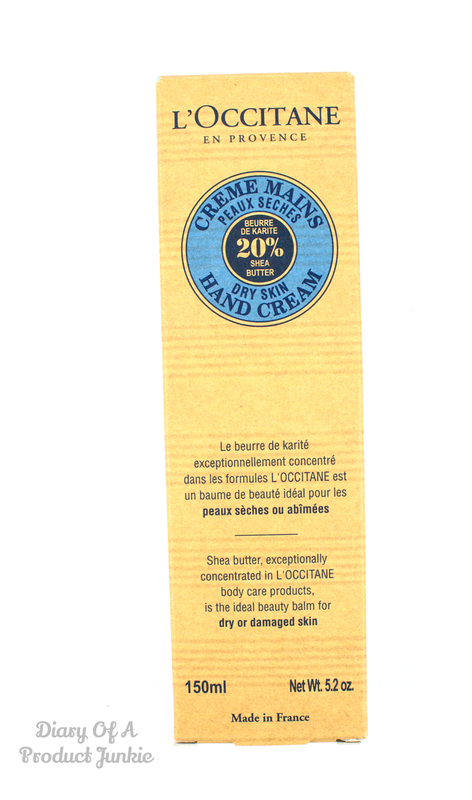 The hand cream is packaged in a carton-based outer box that contains all of the information related to the product. The box is quite sturdy on its own and adds a bit of a vintage feel to it. 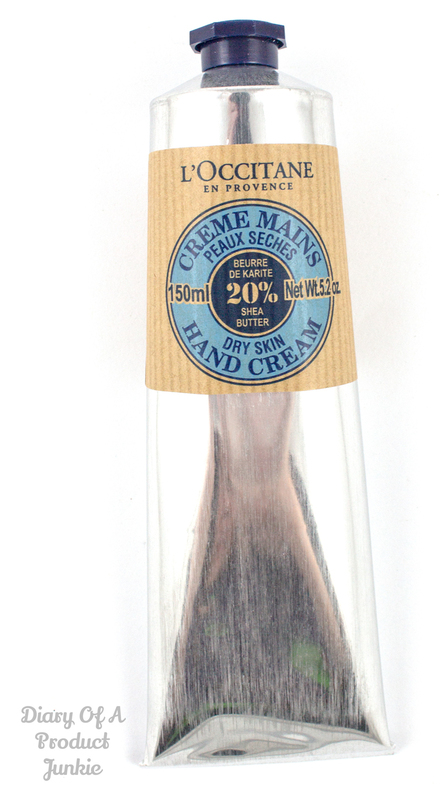 It contains shea butter as the second ingredient, which means that there is a large amount of it inside the hand cream. It does say it is enriched with 20% shea butter. Glycerin is also added in the mixture, making it an even greater hand cream since it has a property of drawing moisture from the environment. To finish it off, it uses dimethicone for that smooth and silky finish. 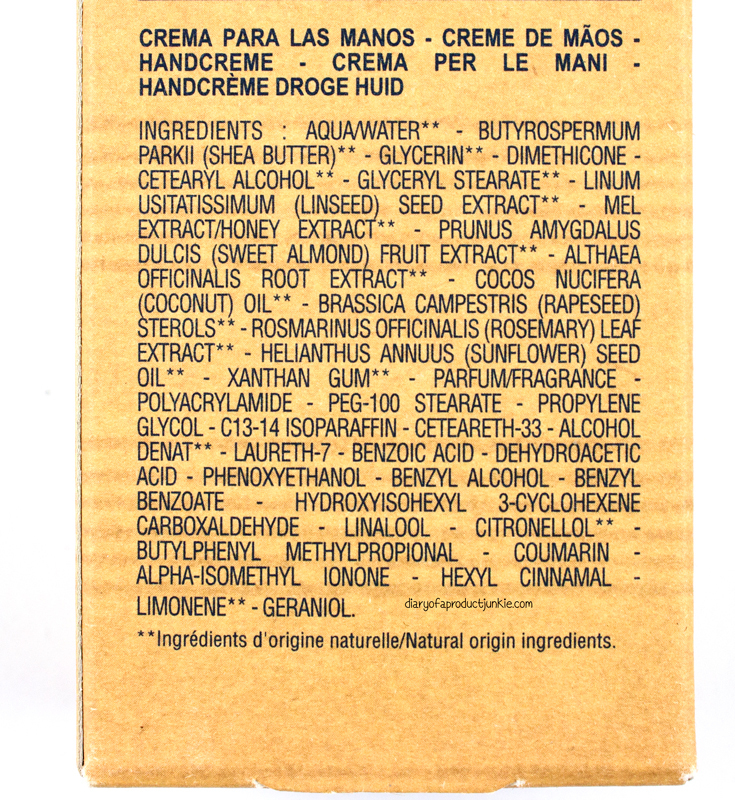 It doesn't use any parabens, but uses other ingredients like phenoxyethanol. I wouldn't really carry it travelling with me because the aluminium can break and result in small holes that ends up smearing my bag in its moisturizing goodness. Luckily, they have travel sizes, with a plastic tube that won't 'moisturize' the insides of my bag. The one in the picture above is the mini size, there is one other size, but I don't have it at the moment. 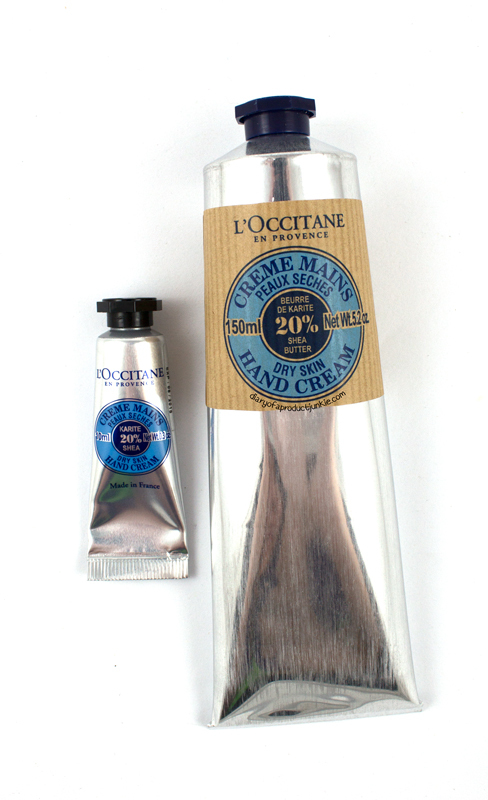 The white-colored hand cream feels light and sinks into my skin rapidly upon application. It doesn't leave a greasy or sticky finish afterwards. I usually use a pea size amount for each hand, so that's two pea size amounts for both hands. It also doesn't leave a strong scent, just a subtle nutty scent that is soft for everyday use.